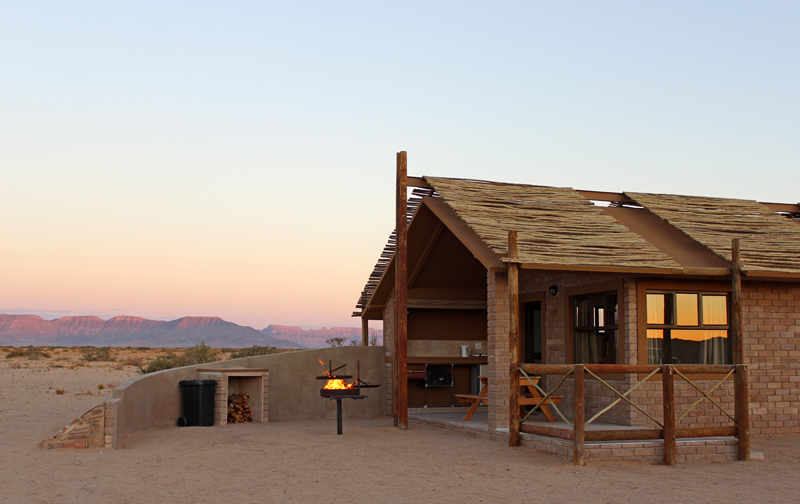 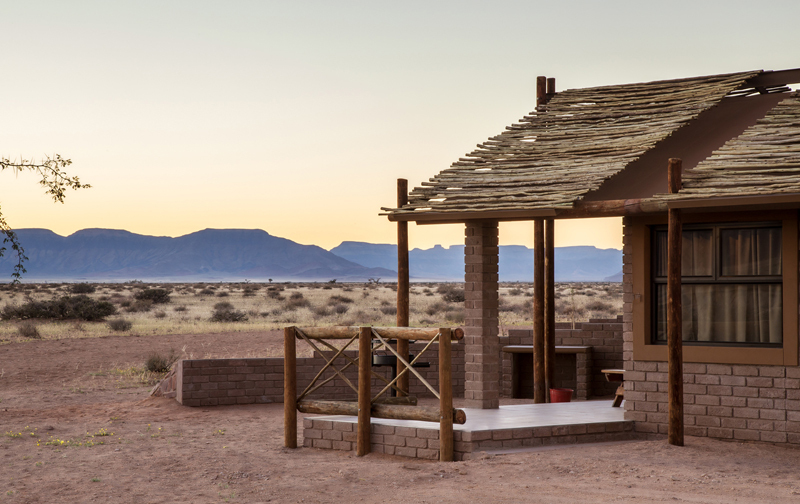 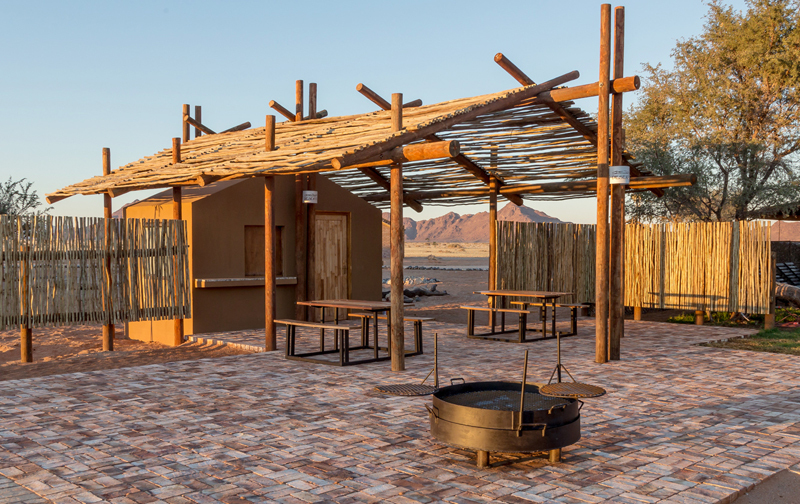 Desert Camp is situated just 5 km from the entrance gate to Sossusvlei and Sesriem Canyon in the Namib Nauklauft Park. 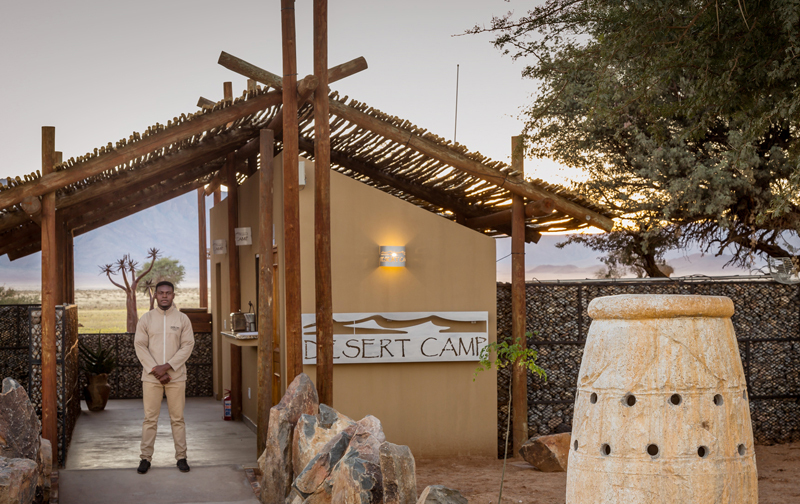 Nestled under centuries old camel thorn trees, Desert Camp offers unsurpassed views over the Desert landscapes and surrounding mountains - An absolute must for the nature lover and photographer! 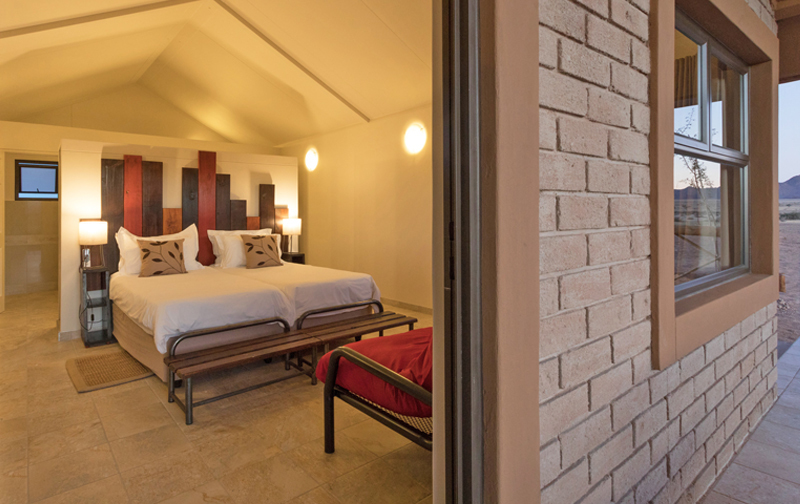 The 28 affordable self-catering accommodation units are equipped with an en-suite bathroom, shaded veranda with a fitted kitchenette, barbeque, power points and an adjacent parking area. 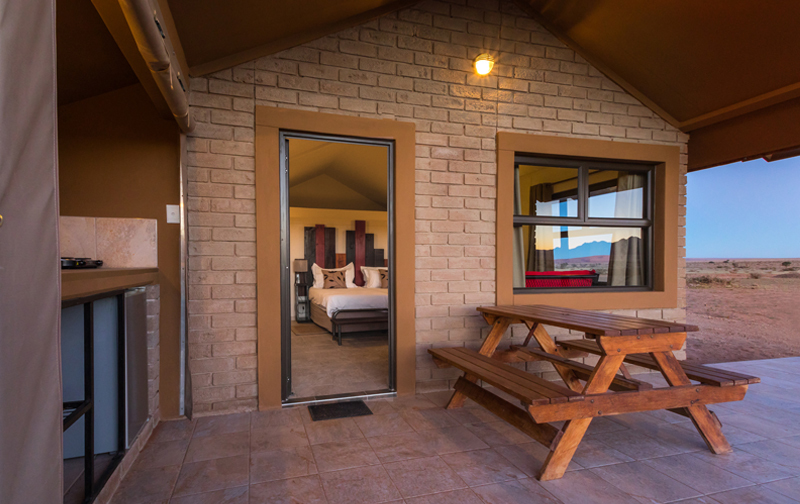 Each air-conditioned room features twin beds and a fold-out sleeper couch to accommodate 2 small children (under 12) free of charge when sharing with 2 full paying adults. 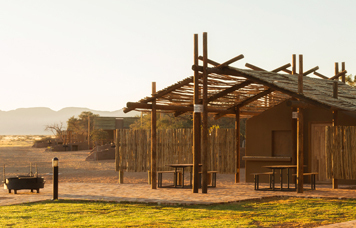 Utility boxes with most utensils needed are available at reception and fresh food supplies can be ordered daily. 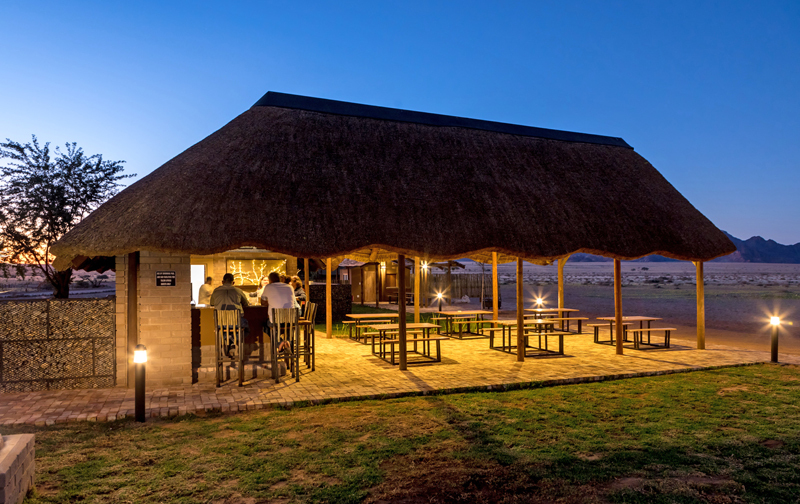 Facilities at the main building include a refreshing swimming pool, large bar area with television and wi-fi access as well as 2 boma-areas for groups. 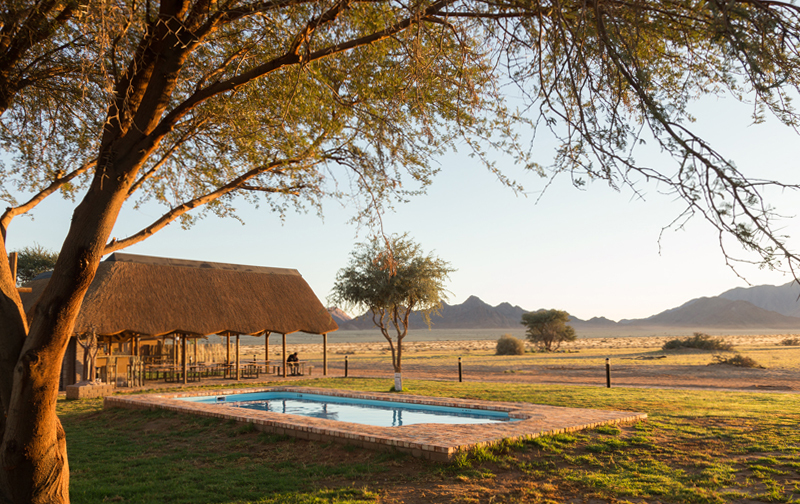 Admire the incredible views over the golden grass plains, Desert landscapes and surrounding mountains from the refreshing pool at Desert Camp. 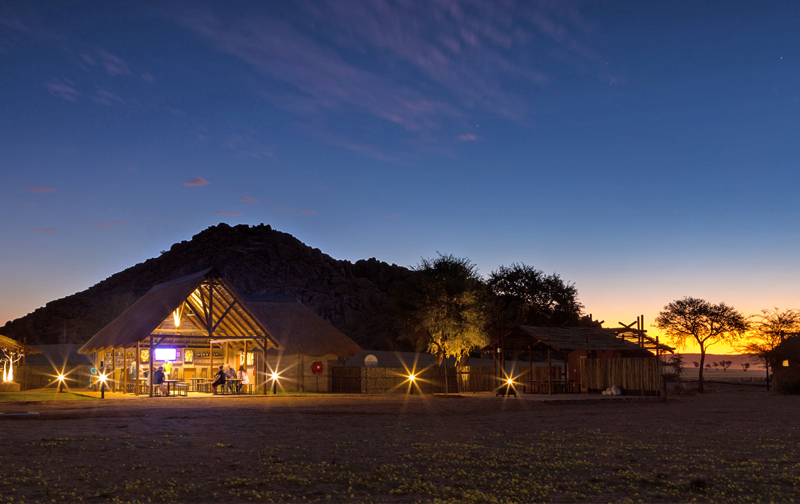 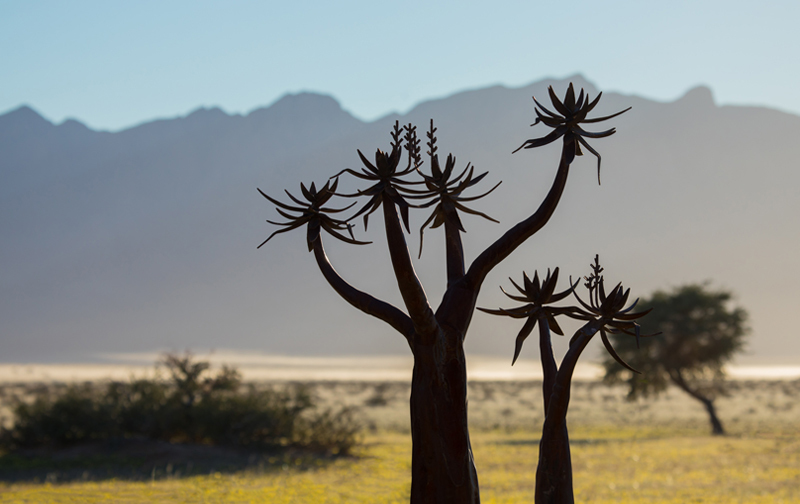 Enjoy a relaxing ice-cold beer or sundowner from our Bar after a funfilled day in the Namib. 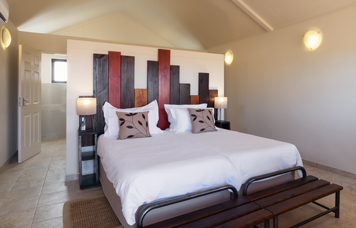 Utility boxes with most equipment needed for Self Catering are available at reception. 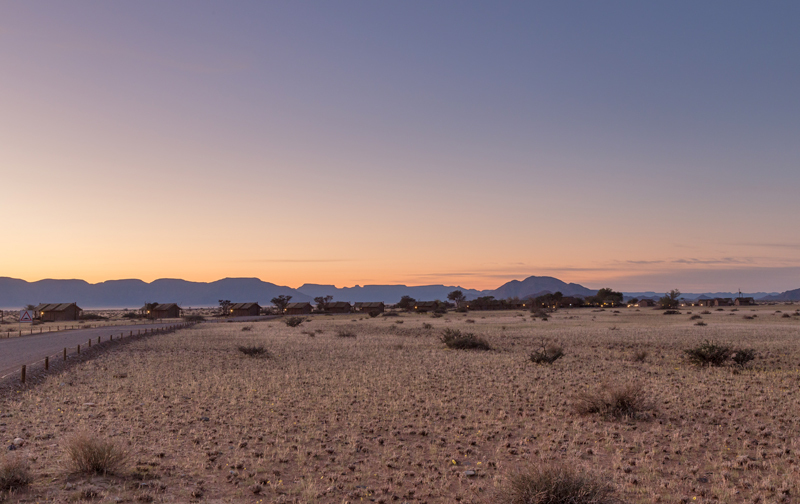 You can also fill out an order form for Fresh Food Supplies to be delivered to your unit. 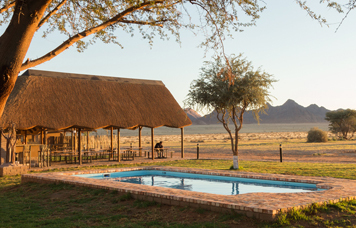 Exciting activities to explore the area can be booked at the nearby Sossusvlei Lodge Adventure Centre.